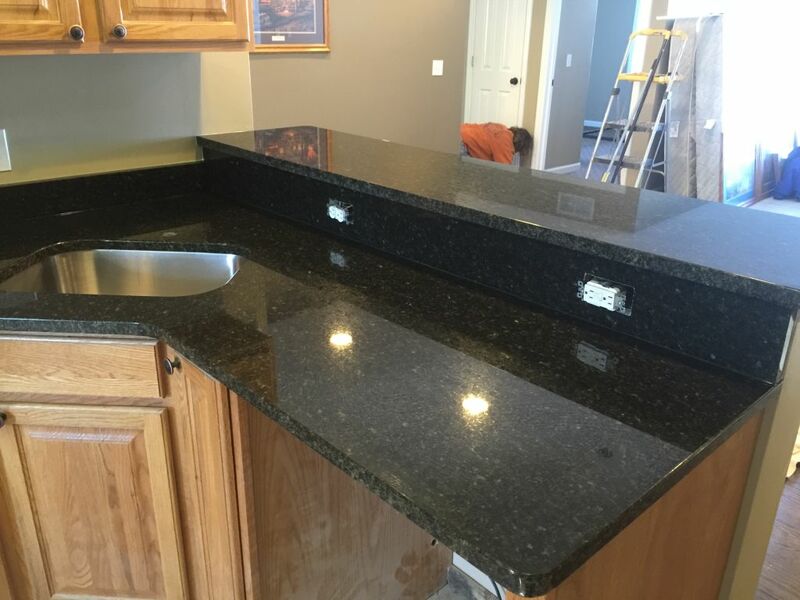 Uba Tuba Granite , Kitchen Countertops / Counter tops . This color is a very popular color , The Green & Gold in it make it suitable to blend with lots of kitchen cabinet colors , It’s Very nice & consistence color . This kitchen project was Fabricated & Installed By Hesano Brothers professional team of experts for one of the Satisfied Builder / Contractor in Up North , Michigan .